PRICED TO SELL!! Appraised at $2.56M but selling for $2.1M!! BEST VALUE on the market for this BRAND NEW, LARGEST 2+1B/2BA/2P residence at Hawaii's luxury premier condominium. This preferred 1,708 sf interior, Stack A "C" unit offers priceless views of ocean, Diamond Head and Ala Moana Beach Park. Miele kitchen appliances. Spacious master bathroom with freestanding tub. Custom walk-in closet. Unit features many upgrades including European teak cabinets with blizzard white quartz countertop. Beautiful oak floor throughout. Custom motorized window shades, temperature controlled wine cellar, electrical outlets for washlets and much more. BONUS OVERSIZED SIDE BY SIDE PARKING RIGHT BY ELEVATOR ENTRANCE. 2 Parking Spaces. Assigned Parking Space, Garage, Guest Parking. 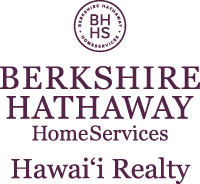 I am interested in 1108 Auahi Street UNIT 1802, Honolulu, HI 96814. Sign up for Inside AccessTM to view recent sales near 1108 Auahi Street UNIT 1802. Courtesy: Kato & Associates, Inc. This content last refreshed on 4/23/2019 12:37 PM. Some properties which appear for sale on this web site may subsequently have sold or may no longer be available.